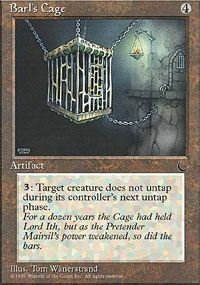 Legend creatures don't untap during their controllers' untap steps. 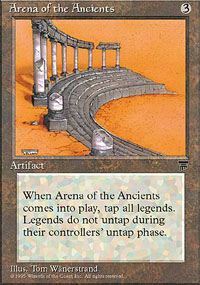 When Arena of the Ancients comes into play, tap all Legend creatures. 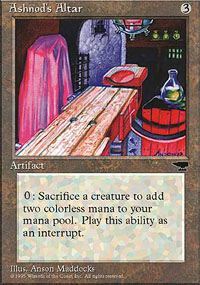 Sacrifice a creature: Add two colorless mana to your mana pool. 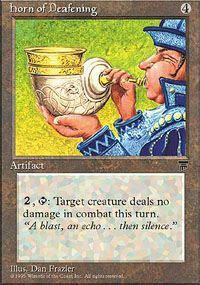 3: Target creature doesn't untap during its controller's next untap step. 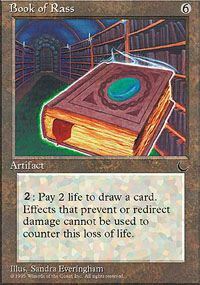 2,Pay 2 life: Draw a card. 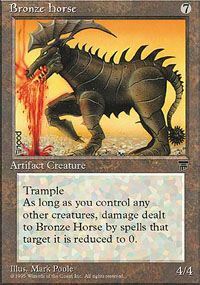 As long as you control another creature, prevent all damage that would be dealt to Bronze Horse by spells that target it. 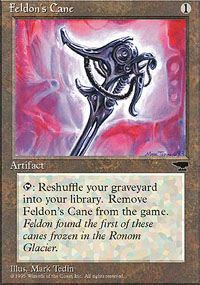 Tap,Remove Feldon's Cane from the game: Shuffle your graveyard into your library. 2,Tap: You gain 1 life. 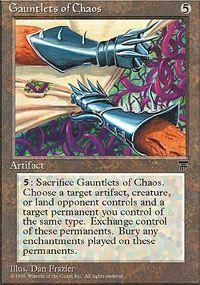 5,Sacrifice Gauntlets of Chaos: Exchange control of target artifact, creature, or land for control of a permanent you control of the same permanent type. 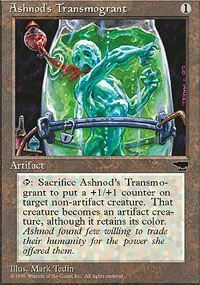 Destroy all enchantments on those permanents. 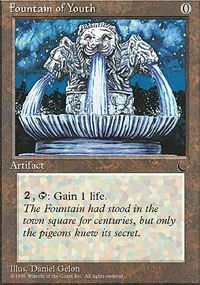 2,Tap: Prevent all combat damage that would be dealt by target creature this turn.